A. In Ecclesiastes 9:11, Solomon tells us that "time and chance happeneth to them all. " 1. We know that Ecclesiastes was written from the perspective of one under the sun, and certainly from that perspective it does appear that time and chance happen to all. We move through time as we leave the past and enter the future. While we know partially what will happen in the future, most of it is unknown and unknowable to us. And as for chance, we live in a world dominated by possibilities rather than certainties. In fact, apart from death and taxes some cynics would suggest there are no certainties. 2. In this lesson, we will explore the relation of time and chance, not to man, but to God. What is the relation of God to time? Does God experience anything by chance? B. As we think about this topic, we are quickly confronted with many questions. 1. Does God know the outcome of a coin flip before the flip? Does anything in the universe actually occur by chance, or is every event, no matter how seemingly minor, part of a preordained plan of God? 2. Does God know our actions and thoughts before we do them or think them? If so, how long in advance does he know these things? Did he know them before we were even born? 3. Did God know Adam and Eve would sin before he even created them? Was it a certainty or just a possibility? It it even possible for God to experience a possibility rather than a certainty? 4. Do we have free will? Can a belief in free will be reconciled with a belief that each action and thought we have had or will have throughout our lives were known to God before we were even born? 5. Is it possible for God to create beings with free will and simultaneously know before hand every action and every thought that those free will beings will ever experience? 6. And most importantly, what does the Bible tell us about free will and God's foreknowledge? Does the Bible ever depict God as changing his mind? Does God ever speak about the future in term of possibilities rather than certainties? Is God ever disappointed about how things turn out? Does God ever experience regret? Does God ever experience surprise? Does God ever have any new experiences? Does God ever risk anything? C. How are we to go about answering these questions? 1. First, we must confront the possibility that some of these questions may be unanswerable. a) We dislike labeling any question unanswerable, but it may be that we are just not in a position to understand how God operates in relation to time. b) A famous mathematics book is entitled Flatland, and it deals with creatures that inhabit a two-dimensional world having width and height, but no depth. In effect, they live on a sheet of paper. The book describes how they would perceive creatures such as ourselves who inhabit three spatial dimensions, and you quickly see how there would be some things about the three dimensional creatures that could never be explained to and understood by the two dimensional creatures. c) Now, I am certainly not suggesting that God occupies extra spatial dimensions because we know that God is spirit. But I am suggesting that we may be living in a spiritual flatland in which there are some things that can never be explained to us or understood by us. 2. Second, we could turn to physics to help us understand the relation between God and time. a) Time, it has been said, is what keeps everything from happening at once. Is God wholly apart from time, or does God in some way experience time as he deals with mankind? b) We know from 2 Peter 3:8 that God does not experience time as we do, but does that mean he does not experience it all? c) I mentioned in an earlier lesson that God reveals himself to us today in two ways -- through his word and through his world. d) Our understanding of time and its relation to this physical universe has undergone a revolution in the last 100 years due to the work of Einstein and others. As they investigate God's creation, they may help us understand more about the nature of God. Isn't that exactly what Paul said would happen in Romans 1:20? 3. Third, we could turn to philosophy. a) Many books have been written on the subject of time and its relation to God, and in fact I looked at several of them in preparing this lesson. b) This subject is deep, and there is no lack of material. 4. Finally, we could turn to the Bible, and (I hope, not surprisingly) that is the approach we will take here today. a) If we want to know more about God, then the first and best place to look for answers is in his word. b) And again, there is no lack of material. The Bible is full of descriptions about how God operates in this world. Whatever we conclude about the questions we listed earlier, if our conclusions about God do not match what we read about God in the Bible, then those conclusions are wrong -- no matter how careful and logical we may think we have been. D. A threshold question is whether any of this really matters, or is it merely of philosophical or academic interest? 1. The short answer is that it matters very much. a) The issues we will consider in this lesson concern one of the most fundamental issues in all of religion -- the question of God's relation to the world and the question of human freedom. b) If God knows all of our actions and thoughts in advance, then how can we be free? c) If God does not know all of our actions and thoughts in advance, then how can he be all-knowing? d) Our understanding of God has enormous practical significance. What we think of God and how we respond to him are closely related. 2. A wrong view on this issue can lead to fatalism and resignation. a) Why should we proclaim the gospel to people who are already predestined to be saved or lost? How can our actions have any effect on something that was predetermined long before any of us were born? b) "Christian fatalism is not merely an innocuous doctrinal interpretation. Fatalism is a paralyzing disease. It infects its victims with complacency and apathy that immobilize their will to resist evil while eroding their determination to accomplish the great work of Christ. " 3. A wrong view on this issue can lead to Calvinism. a) John Calvin: "We call predestination God's eternal decree, by which he compacted with himself what he willed to become of each man. For all are not created in equal condition; rather, eternal life is foreordained for some, eternal damnation for others. Therefore, as any man has been created to one or the other of these ends, we speak of him as predestined to life or to death. " (1) If ever there were an ungodly view of God, that is it -- and yet that ungodly view is the predominate view in much of the denominational world. 4. A wrong view on this issue can cause us (inadvertently for some but purposefully for others) to lay charges of evil against God. a) A classic argument goes like this: If God is wiling to prevent evil but not able to do so then he is not all powerful. If God is not willing to prevent evil then he is not all good. Thus, God is either not all powerful or not all good. (1) The classic response to that argument is the free will defense. (2) God's will is that his creatures have free will. God cannot create free will creatures who cannot choose to do evil because to do so would be to create free will creatures without free will -- a logical impossibility. Thus, the choice is between having free will creatures along with the possibility of evil or not having free will creatures -- and God chose the former. (3) The free will defense is of course rendered ineffective if we do not have free will. If our actions and thoughts were known by God long before we were even born -- if in fact they were part of his eternal decree as Calvin describes it -- then God is ultimately responsible for all the evil in this world. b) When you read denominational commentaries, you often see the phrase "die-hard Calvinist. " These so-called die-hards are not afraid to walk down the road to which Calvinism leads. They are not afraid to affirm that evil is part of God's plan and part of his will. They are not afraid to affirm that God creates most people simply to fuel the fires of Hell -- and that he individually knows and individually wills that they fuel those fires long before they are born. c) In truth, all Calvinism is die-hard Calvinism. Those Calvinists who criticize the die-hard group are simply seeking to avoid the logical conclusions to which all Calvinism leads. The die-hards despite their grave errors have at least the merit of logical consistency. 5. A wrong view on this issue can hinder our prayer life. a) If God does not change and indeed cannot change, then for what reason do we pray? Why ask God to move a mountain if that mountain was destined to remain or to move long before we were ever born? What good does it ask to pray that someone will hear and obey the gospel if that person was created simply to fuel the fires of Hell? E. What are these issues really all about? 1. These issues are NOT about the omniscience of God. a) Everyone agrees on both sides of this argument that God is omniscient. We sometimes say that God knows everything, but what we should really say is that God knows everything that is knowable. b) If there are things that are not knowable, then by definition God does not know them. c) So, if certain future events are not knowable prior to their occurrence, then it does not contradict the omniscience of God to say that God does not know those unknowable future events. 2. These issues really involve a debate about the nature of the future. a) Does the future consist only of settled events (called the closed view) or does it include unsettled events (called the open view) ? 3. We must in our study avoid two pitfalls. a) First, we must recognize the danger of presumption. We tend to exaggerate our ability to understand God. We often insist that he conform to our ideas about him and about his creation. b) The second pitfall is that we sometimes tend to exaggerate our inability to understand God. Some people would avoid this study altogether because they argue is God is beyond all human thought. c) The first pitfall leads to anthropomorphism -- the view that God is just a glorified human being. d) The second pitfall leads to agnosticism -- the view that we can know nothing at all about God. F. One topic we will refer to several times is the concept of free will. 1. We often say that God created human beings having free will. What is free will, and why do we think we have it? 2. What is free will? a) At the very least, freedom involves the absence of external compulsion. But we cannot stop there. Freedom requires more than the absence of coercion. It also requires the presence of genuine alternatives. b) I am free to drive any car to work when I get up in the morning -- but I have only one car! Thus, that choice has really already been made for me. But if I had two cars, then I would have freedom to choose which car to drive each morning. c) An act is free precisely to the extent that it renders definite something otherwise indefinite. 3. Do we have free will? a) Many verses throughout the Bible directly call for men to make personal decisions. (1) Deut. 30:19 -- "I have set before you life and death, blessing and cursing: therefore choose life, that both thou and thy seed may live. " (2) Josh. 24:15 -- "Choose you this day whom ye will serve. " b) But do I have free will or do I just think I have free will? Did God creation humans with free will or did he create humans who think they have free will but who really do not? Is our free will just an illusion? How can free will be an illusion when Hell is not? We are help accountable for our decisions -- how can that be if our free will is merely an illusion? Do we prosecute an actor for playing a criminal in a movie? How can God prosecute us if we are simply actors in a movie he wrote long ago? A. The Closed View of God or the Closed View of the Future says that the future consists exclusively of things that are settled. 1. Under the Closed View, the definiteness of every event -- the fact that it will occur this way and not any other way -- eternally precedes the actual occurrence of the event. a) The future contains no possibilities but rather only certainties. It may look to us that the future contains possibilities, but that is only because of our limited knowledge. b) Under this view, God is unchanging is every respect. Not only his nature and his character, but also his will, his knowledge, and his experience are unchanging. They are what they are from all eternity, and thus God's knowledge of the future is unchanging -- he can learn nothing new because to do so would mean that he had changed. c) Under the Closed View, whatever takes place in history, from events of great significance to the buzzing of a fly, must take place exactly as God eternally foreknew it would take place. d) Under this view, the reason we do not know the future is not that it cannot be known but rather that we are not in a position to witness it. e) Eugene Portalie: "In one unchangeable glance God contemplates every being, every truth, every possible real object. This knowledge is an eternal intuition before which the past and the future are as real as the present, but each for that portion of time in which it really exists. God encompasses all time and therefore can know the future as infallibly as he knows the present. " (1) Our task today will be to determine whether that view of God coincides with how God is described in his word. (2) I think what we will find is that the God of the Bible is not a being who experiences the whole of reality in the isolation of a single timeless perception. We will not find a God who is a detached observer. We will not find a God who is unmoved and unmovable by the course of human history. (3) Instead, we will find a God who responds to events as they occur. We will find a God who sometimes rejoices, who sometimes sorrows, who is sometimes surprised, and who sometimes wishes things had turned out very differently from how they did turn out. 2. Do any scriptures support the Closed View of God? (1) Is. 46:9-10 -- "I am God, and there is none like me, Declaring the end from the beginning, and from ancient times the things that are not yet done. " (2) Is. 48:3-5 -- "I have declared the former things from the beginning; and they went forth out of my mouth, and I shewed them; I did them suddenly, and they came to pass. . . . I have even from the beginning declared it to thee; before it came to pass I shewed it thee. " (3) Psa. 139:16 -- Thine eyes did see my substance, yet being unperfect; and in thy book all my members were written, which in continuance were fashioned, when as yet there was none of them. " b) They also point to the many examples of God's foreknowledge in the Bible. (5) Daniel includes remarkable detailed prophecies in Daniel 11 about what would occur in the six hundred years between his time and the first century. And, of course, there are many other detailed prophecies in the Bible, including many about the life and death of Jesus and the establishment of his church. c) But these verses are not sufficient to establish that the Closed View is the correct view. (1) If we reject the Closed View that does not mean we believe that nothing in history is foreknown by God. The Bible very clearly teaches just the opposite -- there are future events that we know with certainty will occur because God has told us so. (2) The Closed View, however, goes far beyond that. Under the Closed View, not just some things but rather everything that happens is foreknown by God -- and that proposition cannot be established by showing only that some things are foreknown by God. (3) The passage from Isaiah 46 is a good example of the difference. (a) Immediately after telling us in verse 10 that he declares the end from the beginning, God tell us that he will fulfill his intentions. God knows that certain things will occur because he knows his intention to bring those things about. Verse 11 is even more emphatic: "I have spoken it, I will also bring it to pass; I have purposed it, I will also do it. " (4) What these verses tell us is something we already knew -- the future is settled to whatever extent God decides to settle it. (a) God is not at the mercy of chance or free will. If he wants to step in and determine some future event, then that event will happen precisely as God wants it to happen. But is that true of every future action? The Closed View says yes; the Open View says no. (5) Another thing we must keep in mind is that God knows us much better than we know ourselves. He created us and he knows us perfectly, and we are nothing if not predictable. (a) We are constantly being told that much of what we do is controlled by our DNA -- and God knows all there is to know about our DNA. Human nature has not changed at all since the days of Adam. (6) Can anyone read the Old Testament and then come away surprised when the first century Jews reject and kill Christ? Hadn't they done the same to the prophets? 3. Those who adopt the Closed View disagree on how the future is eternally settled. Does God's foreknowledge determine the future, or does the future determine God's foreknowledge? a) Augustine and Calvin argued that the future will occur in a certain way because God foreknows it that way. Under their view, history is a movie directed by God -- a movie that we are just now seeing even though it existed long before we were born. b) Arminius argued that God foreknows the future a certain way because the future will simply be that way. Under this view, history is a movie directed by chance and God simply watched the movie before any of us did. d) Fortunately, the Open View avoids both of these extreme positions. (1) Under the Open View, God determines some but not all future events. (2) If God foreknows a future event (and there are many such examples in the Bible) , then it is either because he determined that it would occur in a certain way or because it is an inevitable effect of past causes. 4. What is the origin of the Closed View of the future? a) Those who adopt it would tell us it comes from the Bible, but I think a good argument can me made that it comes instead from Plato's idea of an unchanging, timeless reality -- because it is that very concept that the Closed View uses as its basis for understanding how God operates in this world. b) The Closed View of God has far more in common with the "unmoved mover" of Aristotle than it does with the God of the Bible. An examination of its history uncovers roots in Greek rather than in Hebrew soil. B. The Open View of God or the Open View of the Future says that the future consists of both unsettled possibilities and settled certainties. 1. Under this view, if God does not know our future free actions, it is not because his knowledge of the future is in some way incomplete, but rather is because there is nothing definite yet for God to know. 2. The central thesis of the Open View is that God experiences the events of the world he created as they happen rather than all at once in some sort of timeless, eternal perception. Our future actions and thoughts are at present not knowable (albeit possibly very predictable) . Otherwise, the idea of free will is meaningless. Otherwise we are just playing out a script written long ago. 3. Under this view, in Luke 5:22 (where we read "But when Jesus perceived their thoughts, he answering said unto them, What reason ye in your hearts?") Jesus knew their thoughts after they had them -- but not before they had them (which, by the way, is what that verse says -- he "perceived" them) . 4. But what about prophecy? What about the plans of God foreordained before the world was established? a) One thing is clear, if it is God's will that something occur then that thing will occur. Throughout the Bible we see God working to accomplish his plans -- and those plans will be accomplished perfectly. b) The conventional view of prophecy is that God peers into the future from his exalted vantage point and provides us with a preview of coming events -- but what we often neglect to notice is that, after the prophecy is made, God works to bring that prophecy into effect. He does not just sit back and watch it unfold -- he unfolds it! (1) For example, you sometimes read commentaries that try to calculate the odds that someone would fulfill all of the prophecies about Jesus, and after calculating the astronomical odds, they conclude that Jesus must be the Messiah. How ridiculous! Jesus knew perfectly well the prophecies he was fulfilling. They were not just happening by chance. God was not just an observer watching the prophecies unfold; rather he was actively involved in making them unfold. c) The fundamental purpose of prophecy is to reveal the will of God as he declares his intentions to accomplish certain things and declare his intentions to act in a certain way. (1) Isaiah 46:11 -- I have spoken it, I will also bring it to pass; I have purposed it, I will also do it. d) The Bible also contains many conditional prophecies that are designed to evoke a positive response in the present so that the undesired prophetic event may be avoided. (1) Under the Closed View there can never be a truly conditional prophecy because God must know at the time of the prophecy which path will be taken. (2) Under the Closed View, for example, God knew all along that Ninevah would repent. But how then do we explain the final verse of Jonah where God says that he spared Ninevah -- spared it from what? Under the Closed View, Ninevah was never in danger. 5. The difference between the past and the future is not that the past is wholly definite and the future is wholly indefinite. The difference is that whereas the past is entirely definite, the future is only partially definite. a) The future is to some extent open and to some extent closed. The closed part is definite and knowable; the open part is not. b) As for the closed part of the future, God of course knows all there is to know about it. He knows all that is knowable about the past and about the future. 6. As we proceed in our study, I believe we will find that God is repeatedly depicted in the Bible as facing a partially open future. What does the Closed View have to say about such verses? It says that they are figurative and should not be taken as literal descriptions of God -- and yet what is the basis for that conclusion? a) Where in the Bible do we get any indication that we cannot learn about the nature of God from reading about how God operates in this world? If we learn about the nature of God from his creation, then wouldn't it follow that we can learn even more from his written word? 7. Finally, some have adopted a view under which God could know the future actions and thoughts of his free will creation, but instead he choose to remain ignorant of certain future events. a) This view must be rejected because it contradicts the omniscience of God. For God to be all-knowing, he must know all that is knowable, and any idea of selective divine ignorance would mean that God does not know all that is knowable, and thus that idea must be rejected. III. What does the Bible tell us about how God views and experiences the future? A. The Bible tells us that sometimes God regrets how things turn out. 1. In Genesis 6:5-6, we see that God once regretted that he made man at all. a) Doesn't the fact that God regretted the way things turned out -- to the point of starting over -- suggest that it was not a foregone conclusion at the time of creation that man would fall into such a state of wickedness? b) And if so, then how could it have been a foregone conclusion that man would fall at all? Was the fall a certainty or a possibility? 2. In 1 Samuel 13:13 and 1 Samuel 15:10-11, 35, we see where God regretted that he made Saul king. a) If God knew all that Saul would do and think long before Saul was born, then how could God experience regret over how Saul turned out? Common sense tells us that we can only regret a decision we made if the outcome of that decision was different from what we had expected or hoped it would be. 3. If God never wanted to experience regret and always wanted to have things as he wanted, then he could have created programmed robots without free will, but that is not what he did. Instead, he created free will beings, and in doing so he necessarily gave up some amount of control. How else can we explain the entry of evil into the universe? We know that evil is not part of God's will -- from whose will did it come? 4. If God experiences regret, then doesn't it follows that God sometimes takes a risk? a) Calvinists reject the notion that God ever takes a risk of any sort. After all, how could someone take a risk when all future events are determined and known to that person? b) And yet in our own experience doesn't risk often accompany love? We know from John 3:16 that God loves the entire world, but doesn't that love involve the risk that the world will not love him back? c) Did God risk the moral harmony of the universe in creating man, or did he simply sacrifice it? d) And 2 Peter 3:9 tells us that God does not want anyone to perish, but didn't his creation of free will human beings run the risk that many would indeed perish? How can we read 2 Peter 3:9 and conclude that God always gets what he wants in dealing with mankind? e) And isn't there another risk in John 3:16? Can we even imagine the risk that God took in sending his Son to die on our behalf -- or was that act of love risk free as the Calvinists must argue? We know that Jesus is God and that he did not sin, but he was tempted. Were those actual temptations? How could they be otherwise if Jesus was tempted like as we? Was Jesus sinless because he did not sin or because he could not sin? If it was the latter, then we must conclude that the temptations were not actual temptations -- and yet that is not at all what we see in the Gospel accounts. (1) "At the Incarnation God undertook the risk that his son would fail in his struggle with temptation. We can only speculate as to what the consequences of that possibility would have been. Perhaps there are literally unimaginable to us. But the genuineness of Christ's temptations strongly supports the reality of the risk of God. " B. The Bible tells us that God sometimes asks questions about the future. 1. In Numbers 14:11, God asks Moses, "How long will this people provoke me? and how long will it be ere they believe me, for all the signs which I have shewed among them?" 2. In 1 Kings 22:20, God asks, “Who will persuade Ahab to go up, that he may fall at Ramoth Gilead?" 3. Some suggest that these questions are merely rhetorical, just as when God asked Adam and Eve where they were hiding in Genesis 3:8-9, and that is a possible interpretation but not a necessary interpretation. 4. Under the Open View, it is possible for God to genuinely wonder how things will turn out -- as evidenced by numerous questions where he appears to do exactly that. C. The Bible tells us that God sometimes confronts the unexpected. 1. In Isaiah 5:1-5, we read where God once planted a vineyard and was surprised to find that wild grapes had grown. a) In these verses God describes Israel as his vineyard. He explains in verse 2 that he expected his vineyard to yield grapes, but instead it yielded wild grapes. Because it did not do as he expected, verse 5 tells us that he decided to destroy the vineyard. b) Note that in verse 4 God asks "What more could have been done?" and in verse 2 he explicitly says that things did not turn out as he expected they would. Don't these verses tell us that the sad state of Israel at that time was not a preordained certainty, but rather was a possibility that did not become a certainty until the free will decisions of Israel made it so? c) And if the future is entirely in the mind of God in every respect then wouldn't it follow that God made a mistake if he expected things to occur other than how they would occur? If God knew the vineyard would yield wild grapes then how could he expect it to do otherwise as he says in verse 2? How could he even hope it would do otherwise under those conditions? 2. The Bible tells us that men sometimes did things that had never even entered the mind of God. a) Jeremiah 19:5 -- "They have built also the high places of Baal, to burn their sons with fire for burnt offerings unto Baal, which I commanded not, nor spake it, neither came it into my mind. " b) Jeremiah 7:31 -- "And they have built the high places of Tophet, which is in the valley of the son of Hinnom, to burn their sons and their daughters in the fire; which I commanded them not, neither came it into my heart. " c) Jeremiah 32:35 -- "And they built the high places of Baal, which are in the valley of the son of Hinnom, to cause their sons and their daughters to pass through the fire unto Molech; which I commanded them not, neither came it into my mind, that they should do this abomination, to cause Judah to sin. " d) How are we to interpret these verses? Are they simply idioms or did the depths of man's depravity in sacrificing their own children truly not even enter God's mind when he made mankind? Don't we see shock and surprise here on the part of God at what men would do? e) Do we prefer a God who is shocked at evil or a God who ultimately wills that evil will occur as a necessary part of his plan? Which God do we see in the Bible? D. The Bible tells us that God sometimes gets frustrated. 1. In Exodus 4:10-15, Moses tells God that he cannot go to Egypt and do what God wants because he is slow of speech. Finally, in verse 14, we see where the anger of the LORD was kindled against Moses. Did God know beforehand how Moses would respond? If so, wouldn't the anger have also occurred beforehand? 2. In Ezekiel 22:30-31, we read where God sought for a man to stand in the gap, and yet could find no such person. Could God have sincerely sought for someone to stand in the gap if he knew that none would be found? E. The Bible tells us that God sometimes speaks in terms of what may be or may not be. 1. In Exodus 4:1-9, God told Moses that the Egyptians might listen to him. a) Notice in verses 8 and 9 that God twice says "IF they will not believe. " Under the Closed View of the future, shouldn't God have said "WHEN they will not believe"? b) These verses show us exactly how God operates in determining the course of the future. God was perfectly certain in the final outcome (that the elders of Israel would listen to Moses) even though in achieving that outcome he was working with free agents who were to some extent unpredictable. The only uncertainty was what would be required to convince them; that they would ultimately be convinced was not uncertain at all. It was certain because God knew beforehand that he would accomplish it. c) What we see here is a God who is as creative and resourceful as he is wise and powerful and loving. God's plans are accomplished because God accomplishes them. God is active in this world, and he expects us to be active as well. 2. The Bible sometimes shows God speaking of the future in conditional terms. a) In Exodus 13:17, God chose a certain route for the exodus because of what the Israelites might have done otherwise -- "Lest peradventure the people repent when they see war, and they return to Egypt. " (1) Don't we see God here considering the possibility -- but not the certainty -- that the Israelites would change their minds if they faced battle? b) In Ezekiel 12:3, God tells Ezekiel, "it may be they will consider, though they be a rebellious house," and in Jeremiah 26:3, God says, "If so be they will hearken, and turn every man from his evil way, that I may repent me of the evil, which I purpose to do unto them because of the evil of their doings. " (1) When God gave Jeremiah and Ezekiel their assignments, doesn't it seem from these verses that there was at least a possibility that the people would heed their warnings? If not, then how do we explain these statements by God to the contrary? F. The Bible tells us that God does not want anyone to perish -- and yet many will do just that. 1. 2 Peter 3:9 tells us that God is "not willing that any should perish, but that all should come to repentance. " 2. And why does God continue to strive with people, trying to get them to believe, if their eternal fate has been known from before the dawn of time? a) Why, as Paul says in Romans 10:21, does God ever say "All day long I have stretched forth my hands unto a disobedient and gainsaying people. " Why is he stretching forth his hands to people he has predestined for Hell? 3. The Bible also tells us in Exodus 32:33 and Revelation 3:5 that some will have their names blotted out of the book of life. a) How can the book of life ever be changed if the Closed View of the future is the correct view. Under the Calvinists' view, the Book of Life is written in indelible ink -- and the names were written in that book long before anyone written in it was ever born! G. The Bible tells us that God sometimes changes his mind. 1. But what, you ask, about those verses that say God does not or perhaps cannot change his mind? a) 1 Samuel 15:29 -- "for he is not a man, that he should repent"
b) Numbers 23:19 -- "God is not a man, that he should lie; neither the son of man, that he should repent: hath he said, and shall he not do it? or hath he spoken, and shall he not make it good"
c) Malachi 3:6 -- "For I am the LORD, I change not. " d) And we could add Hebrews 13:8 -- "Jesus Christ the same yesterday, and to day, and for ever. " 2. When read in context, these verses pose no problem for the Open View. a) We already know that the character and nature of God are unchanging. But that does not mean that God is a like a photograph that will forever remain fixed in time and unchanged. That is not the description of God we see in his word. b) As for the verse from 1 Samuel 15, the immediate context shows God regretting that he had ever made Saul king at all. (1) Samuel had prayed all night trying to change God's mind about Saul's dethronement, which indicates that Samuel at least felt that God might change his mind. But when the morning came, Samuel came to the conclusion that God would not change his mind -- not that God could not change his mind, but that he would not. (2) Unlike men, God cannot be cajoled into changing his mind for any reasons other than those consistent with his unchanging character. (3) God in Ezekiel 24:14 and Zechariah 8:14 says that he will not change his mind. Doesn't the need for God to make this statement suggest that he could change his mind? c) The verse from Numbers 23 regarding Balak and Balaam have a similar explanation. (1) Their point is not that God is unable to change his mind but rather that God is totally unlike man. Unlike men, God does not lie when it's profitable or change his mind for the sake of convenience -- both of which were common for the false prophets who spoke on behalf of false gods. d) Finally, Hebrews 13 does tells us that Jesus does not change -- but how are we to understand that verse when we see Jesus changing throughout his life here on earth and we read of his changing roles as he ascends back to Heaven, now reigns over his kingdom, and one day will deliver that kingdom to God? (1) What never changes about Jesus and what can never change about Jesus is his holy and divine character. We can trust him because we know that his word to us and his love for us are unchanging. We can rely on him because we know his character and his nature will never change. 3. Jeremiah 18:1-12 is a remarkable commentary on the issues we have been considering here today. a) In these verses we read where Israel had heard that God was planning on punishing them for their wickedness, and they had then wrongly assumed there was no hope. (Verse 12 -- "There is no hope. ") If God has said he would punish them, then they reasoned there was nothing they could do about it -- so why not continue in their wickedness? b) To correct that false fatalistic thinking, God told Jeremiah to go to a potter's house to watch a potter at work. (1) Verse 4 -- "And the vessel that he made of clay was marred in the hand of the potter: so he made it again another vessel, as seemed good to the potter to make it. " (2) Verse 6 -- "O house of Israel, cannot I do with you as this potter? saith the LORD. Behold, as the clay is in the potter’s hand, so are ye in mine hand, O house of Israel. " (3) Verses 7-10 -- "At what instant I shall speak concerning a nation, and concerning a kingdom, to pluck up, and to pull down, and to destroy it; 8 If that nation, against whom I have pronounced, turn from their evil, I will repent of the evil that I thought to do unto them. 9 And at what instant I shall speak concerning a nation, and concerning a kingdom, to build and to plant it; 10 If it do evil in my sight, that it obey not my voice, then I will repent of the good, wherewith I said I would benefit them. " c) Paul picks up this same analogy in Romans 9:21-23. (1) Rom. 9:21 Hath not the potter power over the clay, of the same lump to make one vessel unto honour, and another unto dishonour? 22 What if God, willing to shew his wrath, and to make his power known, endured with much longsuffering the vessels of wrath fitted to destruction: 23 And that he might make known the riches of his glory on the vessels of mercy, which he had afore prepared unto glory. (2) Calvinists read those verses to say that God exercises unilateral control over us, but that is exactly the opposite of what is being said in Jeremiah 18 and Romans 9. (3) As the potter is willing to revise his plans once his first plan is spoiled, so God is willing to revise his plan when the circumstances call for it. (4) There are certainties in the future. It was certain that Christ would come and die; it was certain that his church would be established; it is certain that this world will someday end with judgment. (5) But that there are certainties in the future about which God will never change his plans does not mean that every future event falls into that category. God is the potter; we are the clay. And God is willing to continue working with us until we become what he wants us to become. 4. In 2 Kings 20:1-6, God told Hezekiah that he would not recover from his illness but that he would instead die. Hezekiah pleaded with God, and God changed his mind and added 15 years to Hezekiah's life. a) Jeremiah in 26:19 later encouraged the fatalistic Israelites by reminding them of this very event. b) If God cannot change his mind then how do we explain this reversal? Was God not sincere when he told Hezekiah in verse 1 that he would die soon ("Set thine house in order; for thou shalt die") ? And if God always knew that Hezekiah would live another 15 years then how could he tell Isaiah in verse 6 that he would ADD 15 years to his life? a) 1 Chronicles 21:15 -- And God sent an angel unto Jerusalem to destroy it: and as he was destroying, the LORD beheld, and he repented him of the evil, and said to the angel that destroyed, It is enough, stay now thine hand. b) Exodus 32:14 -- And the LORD relented from the disaster that he had spoken of bringing on his people. c) Deuteronomy 9:13-14 -- Furthermore the LORD spake unto me, saying, I have seen this people, and, behold, it is a stiffnecked people: 14 Let me alone, that I may destroy them, and blot out their name from under heaven: and I will make of thee a nation mightier and greater than they. 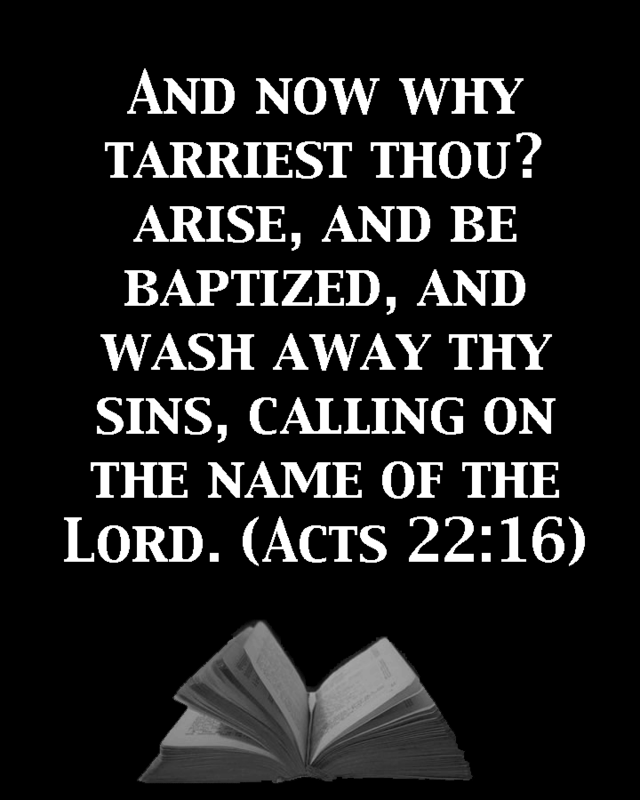 d) 1 Samuel 2:30-31 -- Wherefore the LORD God of Israel saith, I said indeed that thy house, and the house of thy father, should walk before me for ever: but now the LORD saith, Be it far from me; for them that honour me I will honour, and they that despise me shall be lightly esteemed. 31 Behold, the days come, that I will cut off thine arm, and the arm of thy father’s house, that there shall not be an old man in thine house. e) Jeremiah 26:2-3 -- Thus saith the LORD; Stand in the court of the LORD’s house, and speak unto all the cities of Judah, which come to worship in the LORD’s house, all the words that I command thee to speak unto them; diminish not a word: 3 If so be they will hearken, and turn every man from his evil way, that I may repent me of the evil, which I purpose to do unto them because of the evil of their doings. f) Ezekiel 4:9-15 shows God changing his mind with regard to a source of fuel in response to a request from Ezekiel. g) Amos 7:1-6 shows God changing his mind with regard to judgments against Israel in response to a request from Amos. h) Jonah 3:10 -- And God saw their works, that they turned from their evil way; and God repented of the evil, that he had said that he would do unto them; and he did it not. H. How do we explain prayer under the Closed View of the future? 1. If every outcome is already recorded somewhere, then what good does it do to pray for some specific outcome? a) If the outcome is known to God before we pray for it to occur otherwise, then how could God ever be said to answer our prayer one way or the other? How could our prayer change anything in such a situation? b) Under the Closed View, wouldn't our prayers be like someone watching a Shakespearian tragedy written 400 years ago and praying to God that it will have a happy ending? Does that make any sense? Is that how prayer is described in the Bible? 2. The Bible tells us that God sometimes reverses his planned course of action based on prayer. a) In Exodus 32:11-14, Moses besought the Lord regarding a planned punishment, and in verse 14 we read, "And the LORD repented of the evil which he thought to do unto his people. " b) James 5:17-18 -- "Elijah was a man subject to like passions as we are, and he prayed earnestly that it might not rain: and it rained not on the earth by the space of three years and six months. 18 And he prayed again, and the heaven gave rain, and the earth brought forth her fruit. " A. We have looked at two view regarding God and his relation to the future -- the Closed View and the Open View. B. I have tried to make the case that the Open View is more consistent with the descriptions of God we find in his word. In addition, the Closed View has consequences regarding free will and predestination that are contrary to the word of God. C. These are very difficult issues, and I encourage you not to stop here, but rather to search the Scriptures to see for yourself how God is described with regard to time and chance. D. Isaiah 57:15 -- For thus saith the high and lofty One that inhabiteth eternity, whose name is Holy; I dwell in the high and holy place, with him also that is of a contrite and humble spirit, to revive the spirit of the humble, and to revive the heart of the contrite ones.